“Like the resonant African-American traditions that long precede them, the Black Spirituals are equal parts choreographed and improvisational, containing simultaneously measuredly deliberate and frenetically urgent sonicities. True to name, the Black Spirituals evoke and produce a Black spirituality in the sonorous tradition of Black flight calling us to follow the North Star and any and all other pathways to freedom. It’s the choreographed and synergistic spontaneity and improvisation with clear inspirations drawn from jazz traditions, indigenous African drumming, and anti/de-colonial musico-theological and ritualistic traditions across the Afro diaspora; and it’s an expression that constitutes the kind of musical fugitivity most organically and innately produced by Black Americans in our “post-emancipation” captive state. It’s a music for music’s sake, and it’s a feverish cathartic expression of freedom dreams with true liberatory capacity. The Black Spirituals, like their musical forebearers, are fugitive planners enacting, per Harney & Moten, “ruptural and enraptured” soundscapes and offering a space of refuge within which enlightenment can be understood and, thus, enacted. But this is not music alone. The Black Spirituals are a transdisciplinary and genre transcendent epistemic framework that exists both in itself and in complement with other artists. 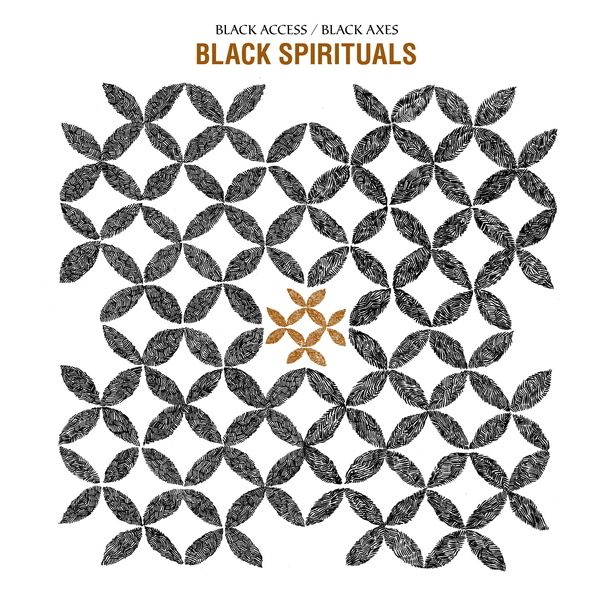 Black Access Black Axes is a project expressing Black vernacularity as a solo-duetting avant-garde musical technology driven by clear need to contain and articulate both the world in which we live and the dire need to flee and imagine and create another. The album’s core are the drone-like meditative frequencies recalling an ever-present sounding alarm: a state of emergency, an alarm signaling the need for and actualisation of Black escape, a Black articulation of futurity only accessible through distortions and conversing-duelling guitar and drum.